Dr. Roger White will speak to our Society this Saturday, June 13 at 7:00pm - 8:30pm in EDT. The meeting will be at ReCreate Cafe Arts, 800 Mccallie Ave, Chattanooga, Tennessee 37403. 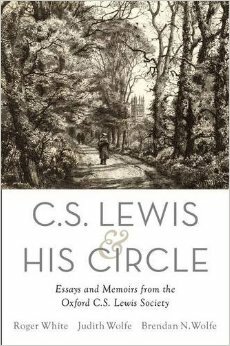 In the tradition of previous collections of essays and memoirs, such as Light on C. S. Lewis (1965) and C. S. Lewis at the Breakfast Table (1979), comes a new primary source anthology from Oxford University Press culminating a seven-year project that originated in the archives of the Oxford C. S. Lewis Society. Roger White, lead editor of C. S. Lewis and His Circle: Essays and Memoirs From the Oxford C. S. Lewis Society (Oxford University Press, 2015) describes the process of crafting this unique assortment of transcribed talks gleaned from the last thirty years of the Society’s history. The illuminating story of how this collection was developed provides the backdrop for a literary introduction to the book’s contributors and their work. The impressive list of contributors includes: Elizabeth Anscombe, John Wain, Owen Barfield, Rowan Williams, Kallistos Ware, George Sayer, Walter Hooper, Alister McGrath, Stella Aldwinckle, and many others. The presentation also features audio excerpts from the original Society recordings and brief readings from selected chapters. Roger White grew up in the Chattanooga area and graduated from Hixson High School, East Tennessee State University, and University of Tennessee, Knoxville. Currently he is curator of the Inklings Special Collection for the University Libraries as well as Professor of Ministry for the Seminary at Azusa Pacific University in Azusa, California.